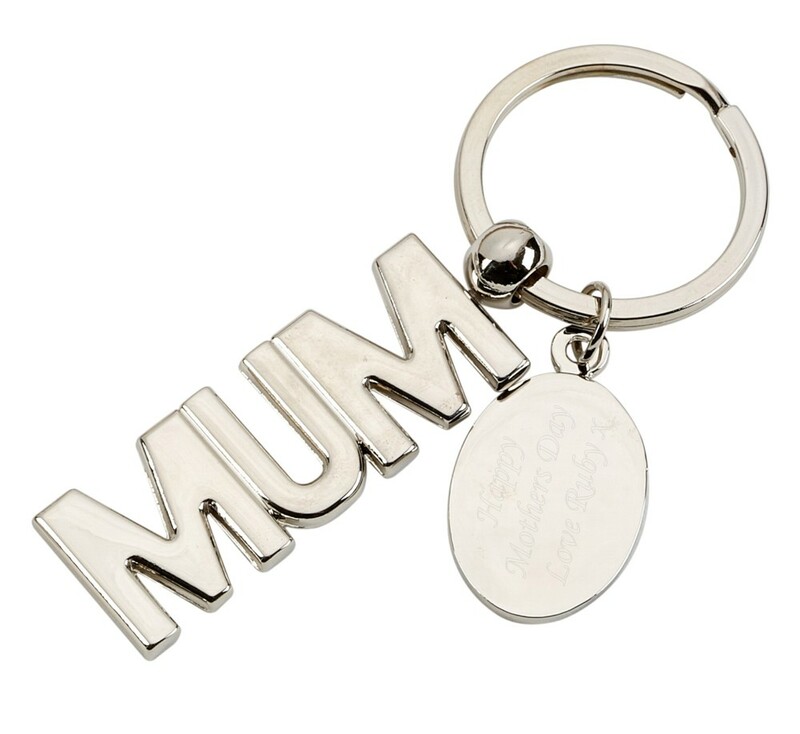 Personalised Engraved Silver Stainless Steel MUM Keyring. This great keyring measures 82mm in length. Personalise your keyring with your text, a great engraved gift for your Mum! It will be engraved on the circular gift tag on the keyring. A perfect unique gift that no one else will have and complete in a gift pouch! Perfect for any Occasion including Birthdays, Christmas, Mothers Day, Weddings.... it's endless!